Father Mark Hanna was born in Egypt on November 27, 1965. He earned a Bachelor’s Degree in Business in 1989 from Ain Shams University. 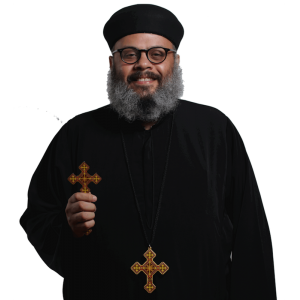 He served for several years in St. George “Hamamat el Qoba” in Cairo as a Youth Leader and in Choir. He came to United States in 2001 and served at Archangel Michael Church in Santa Ana. On November 27, 2011 His Grace Bishop Serapion ordained him presbyter to serve at Archangel Michael Church in Santa Ana.